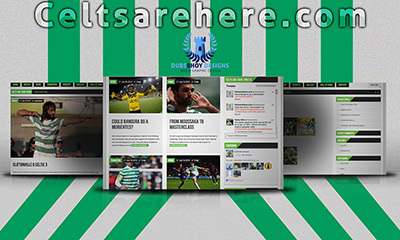 We have just completed a football blog for a group of Celtic Supporters in the UK. The website’s homepage feeds all the latest news and the content management system is designed to allow users to post with ease. The website is compatible with all major browsers and smart phone/device friendly. In it’s first two days the site had over 60,000 hits and over 3000 visitors to the site. With more authors due to come on board these numbers will treble over the next few months. We also designed all the graphics for the new website and a bunch of free wallpapers the site wanted to make free to it’s visitors. If you would like a similar kind of website and want to publish or report on something you feel passionate about please contact us.